One of my all-time favorite books, and one of my all-time favorite gifts to ever receive. A friend of mine gave me this last year as a present since they knew of my penchant for books and that this was one of my top picks. 5 volumes, looks like at some point the 3rd volume had been repaired on the spine but the inner pages of all the books are in excellent condition. 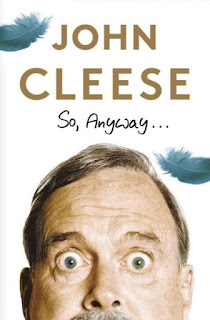 The autobiography of comedy legend John Cleese. Cleese was just days away from graduating Cambridge and setting off on a law career when he was visited by two BBC executives, who offered him a job writing comedy for radio. That encounter--and a near-simultaneous offer to take his university humour revue to London's famed West End--propelled him down a different path, cutting his teeth writing for stars such as David Frost and Peter Sellers, and eventually joining the five other Pythons to pioneer a new kind of comedy that prized invention, silliness, and absurdity. Along the way, he found his first true love with the actress Connie Booth and transformed himself from a reluctant performer to a world-class actor and back again. Overall, it was an enjoyable read. I went into it knowing it was a collection of ancient myths, parables and other such lore, all framed within the famous story of the concubine Scherazade keeping herself alive by telling the king what is not necessarily a never ending story, but rather that she ends each story with a sort of: "Well if you liked THAT tale, have you heard the one about..." and then the next chapter continues. It was interesting to read some of the original tales, or to see where they came from. 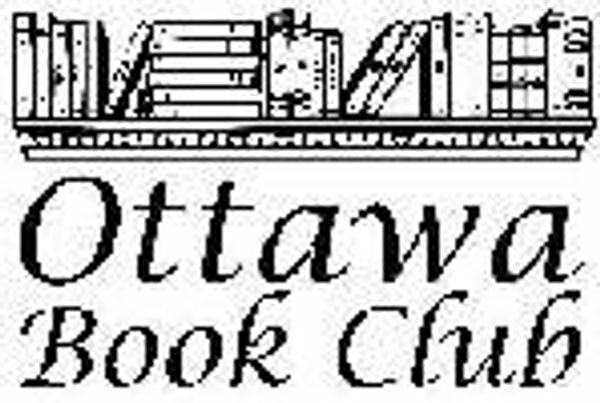 Stories about genies, Aladdin and the lamp, The Seven Voyages of Sinbad, Ali Baba and the Forty Thieves, the original "three wishes" kind of stories. These stories all originated here so from a historical context it was interesting when I'd read a tale and realize: "Oh! THAT'S where that came from", which is somewhat the same reaction I had when I started getting more into Shakespeare and seeing how pervasive the ideas and stories are. I doubt Disney would exist without borrowing ideas from this text! If there was a problem for me, it is that the collection (not a total compilation by any means as I have read there are much longer versions available with much more stories), the tales do get repetitive. With the same moral, the same type of protagonist. A merchant is greedy with his clients and gets his comeuppance, a king and people in power get outwitted by simpler folk. Almost every tale has a woman who is "beyond belief in her beauty", or a young male who is beyond handsome and almost impossible to look on either of them without falling in love. Genies interfere or help etc. They got a little predictable and a little dry by the end. "Do you think you'll ever make enough money writing?" "If I get good enough." "Couldn't you maybe make it if you wrote cheerfuller things? That isn't my opinion. Our mother said everything you wrote is morbid." Its always a great feeling to "discover" a new author. Sometimes even if that author has been around for years but you've just never had the chance to read them. It's a particular treat to find an author that has a nice extensive library to catch up with. Such is the condition I find myself in after "discovering" Ernest Hemingway. On a whim, when I had spare cash and was building my hard copy library, I found an updated book that collected all of the short stories by Hemingway. I figured what better way to decide if I liked an author that with these short glimpses into the variety of his imagination. I started reading the stories and have been, to say the least, what is the word? "Enchanted". Captured" "hooked" at least. His prose is a little different than I expected, and I find myself surprised by the occasional n-word or other such racial slur that was a sample form the times he wrote in. But the works are almost dark, very powerful. Some of the stories I had to re-read as I felt I missed the point. His knowledge on bullfighting, camping and outdoor survival come through very strongly and he seems to be a rugged "man's man" type. His stories are not light hearted, in fact I recall that the first 4 stories in the book involve death or a murder. Certainly tales that make you reflect. But overall I am pleasantly surprised to have so much from this author to catch up on.